Heat oil in Dutch oven over medium-high heat until hot. 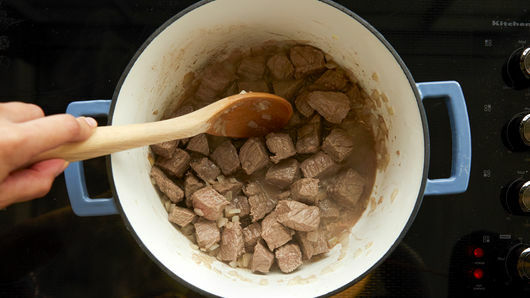 Add beef and onions; cook and stir 4 to 6 minutes or until beef is browned. 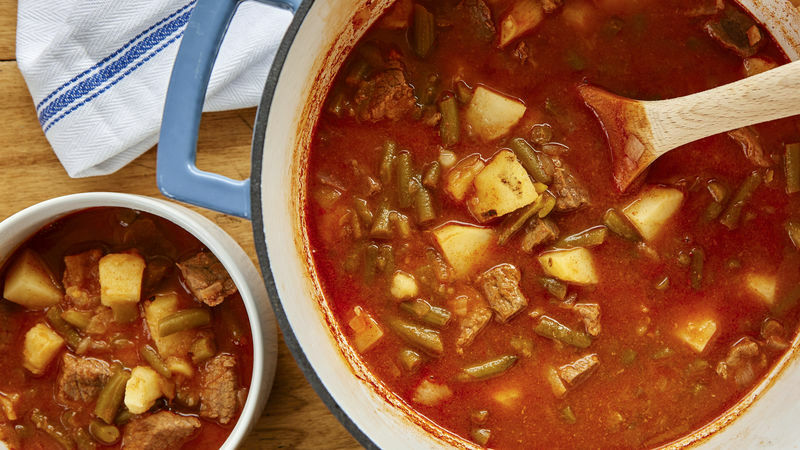 Add all remaining ingredients; mix well. Bring to a boil. 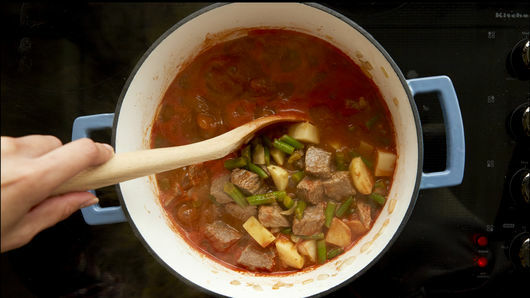 Reduce heat to low; cover and simmer 1 1/2 to 2 hours or until beef and potatoes are tender.